I am writing on behalf of Clean Air in London (CAL) to respond to the informal consultation by the Department for Environment Food and Rural Affairs (Defra) on ‘Streamlining statistical releases on (i) emissions of air pollutants in the UK, and (ii) air quality statistics in the UK to provide a more coherent service to users’ (the Consultation). More details can be found at http://www.defra.gov.uk/statistics/environment/air-quality. CAL is a company limited by guarantee which campaigns to achieve urgently and sustainably full compliance with World Health Organisation guidelines for air quality throughout London. CAL is independent of any government funding, has cross-party support and a large number of supporters, both individuals in London and organisations. CAL provides a channel for both public concern and expert opinion on air pollution in London. 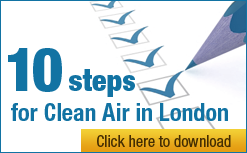 More details can be found at: https://cleanair.london/. Thank you for the opportunity to provide comments on the Consultation. However, CAL objects strongly to this important consultation being held ‘informally’ with just two weeks to comment. Good quality, timely and unbiased statistical releases are essential in order for the general public and non-governmental organisations (NGOs) to track progress towards air quality targets and hold the Government to account. Defra’s current air quality national statistical releases summarise annual data and trends and are one of the most important sources of such information. The data presented in these releases may appear in other databases but finding and collating it is totally impractical for small NGOs and the public. CAL disagrees strongly with the proposal to ‘rationalise the existing publications on emissions of air pollutants in order to focus on the key pollutants of public interest [as judged by the Government]’ (page 3). The purpose of a statistical release should be to clearly and accessibly present the full range of data, therefore allowing the public and NGOs to make up their minds as to where their own interests lie. CAL notes that European Union (EU) target values (Target Values) for annual mean concentrations of arsenic, cadmium, nickel and polycyclic aromatic hydrocarbons (expressed as a concentration of benzo(a)pyrene) enter into force on 31 December 2012. These pollutants are currently covered only in the annual report to the European Commission and nationally in the ‘Emissions of air pollutants in the UK – Supplementary’ publication, the latter of which would be stopped. With the Target Values coming into force we urgently need more reporting on concentrations and emissions (i.e. sources) of these dangerous pollutants, not less. Defra should publish: in February and April each year its provisional and then final estimates of concentrations for all regulated air pollutants; and in the following December and February its final and supplementary estimates of the emissions causing these concentrations. The public and NGOs should not need to dig into complex databases to find this information or wait for it to be reported formally to the European Commission. In CAL’s view, Defra seems to be systematically hiding important information about air pollution in London and elsewhere. Defra is proposing to reduce the number of pollutants included in the national statistical releases to focus on those of ‘greatest public and policy interest and at the same time bring forward the timing of the release of information on emissions of PM’. Defra would stop publicising in February for the previous calendar year but one details of emissions of benzene, 1,3-butadiene, CO, Pb and polycyclic aromatic hydrocarbons (PAHs) plus 16 metals, persistent organic pollutants and other pollutants including arsenic, cadmium and nickel. CAL disagrees with the proposed scrapping of the ‘Emissions of air pollutants in the UK – Supplementary’ release. The UK’s latest report to the European Commission (for the year 2011) stated that Target Values for nickel and PAHs were exceeded in one and seven zones respectively with 3,251 and 291,332 people respectively exposed to levels of these pollutants exceeding the Target Values. Under the proposed streamlining system there would be no statistical release for emissions of either of these pollutants, as they are both covered only in the supplementary document. Technological, social and policy developments can change the nature of air pollutant emissions over time. For example, CAL understands that PAH emissions are linked to domestic solid fuel combustion as well as industrial combustion. Local authorities are reporting an increase in the use of solid fuels and the planned introduction of the domestic Renewable Heat Incentive in 2013 will further increase the use of fuels such as wood. Statistical releases should provide information on all regulated pollutants to allow the public to follow the trend in emissions and concentrations, even if emissions and concentrations are currently below national and/or international targets. Legal limits or Target Values are being or seem set to be exceeded for benzo(a)pyrene, nickel, nitrogen dioxide and ozone and particulate matter. CAL disagrees also with the statements on page 4 of the Consultation that ‘analysis and communication of information on trends is fragmented’, and ‘messages on the key pollutants are also diluted by publication of information on a large number of other pollutants which have a much lower public interest’. The two step main and supplementary release schedule means exactly the opposite is the case. CAL recommends that the current system of main and supplementary releases should remain intact. Furthermore the supplementary release should analyse and explain recent trends in emissions of all regulated pollutants and stop focusing on historic emission reductions between 1990 and 2000. Defra is proposing to stop publishing in February for the previous calendar year a provisional release for concentrations CO, NO2, O3, PM10 and SO2. Instead of seeing this information within five weeks of the year end, the public and NGOs would need to wait nearly four months to see virtually the same information. The release of provisional documents within five weeks of the year end provides a useful early look at air quality trends for both the public and NGOs. These statistics are impractical for non-experts to extract from data sources such as the UK-Air website. Furthermore, the preparation of the two releases is unlikely to be time consuming, when compared to a single release, as the final release is normally a minor update of the provisional. CAL disagrees with the statements on page 6 of the Consultation that ‘two separate releases of very similar data risk confusion and does not add value’ and ‘a single publication will make accessibility to official data as straight forward as possible and enables users to identify and access information relevant to their needs’. Exactly the opposite is the case. CAL recommends that provisional data and graphs should be publicised as currently on Defra’s website in February with the full analysis and national statistics release published when the final data is available in April. If either statistical release is ‘downgraded’ it should be the final data, which Defra admits is usually little different to the provisional data, which could be published on Defra’s UK-Air website and elsewhere on Defra’s website with changes to the provisional data highlighted. Finally, the Defra releases should stop focusing on historic reductions between 1990 and 2000. CAL is concerned that Defra has recently dropped Cromwell Road from its Automatic Urban and Rural Network (AURN) which is used to report legal breaches of air pollution laws to the European Commission. Only 15 monitors remain part of the AURN in London and all those reporting levels of air pollution higher than in Marylebone Road are excluded. As you know, the monitor in Cromwell Road is the one most likely to show officially that removing the western extension of the congestion charging zone breached air pollution laws.